Water is our most-precious natural resource. It helps us to grow crops, raise livestock, sustain life, work, and have fun. Each day throughout the State of Nebraska, many people are working to find new ways to manage our ground and surface water, so all Nebraskans can live the good life today and tomorrow. Managing our water sources is a complicated matter. 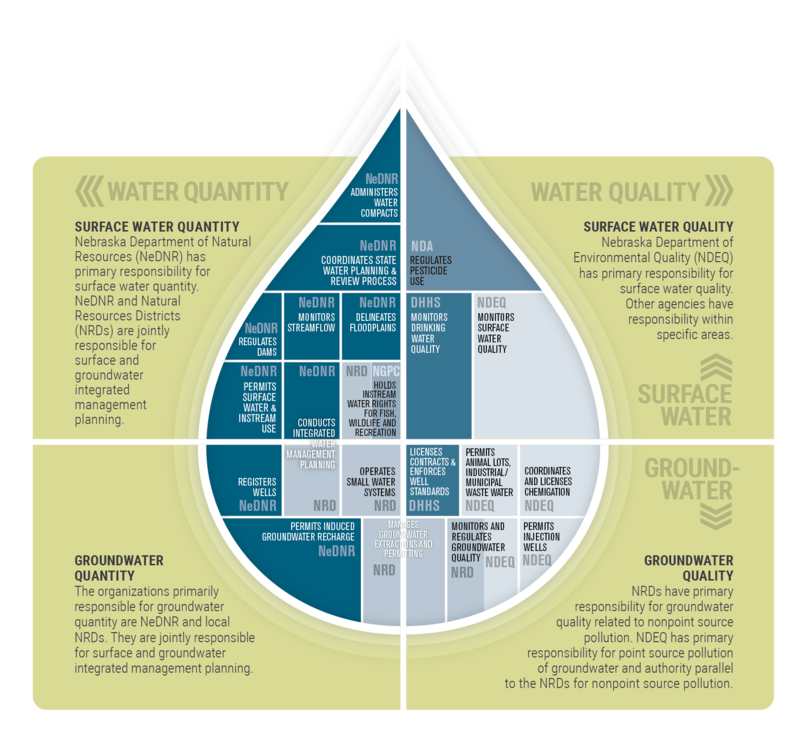 This single water drop shows the diverse agencies and organizations involved in the preservation of our most-precious natural resource: water.